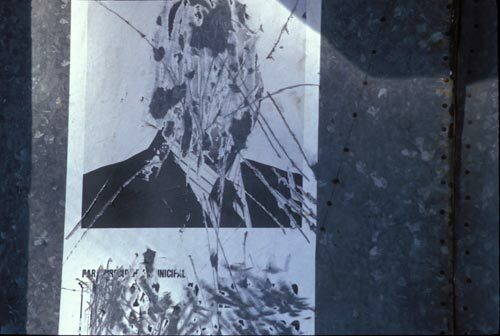 49… Revolutions and concerts have been heralded with street posters…. Many of my Alamos friends pointed at this poster with pride. There is irony here: the giant cottonwood hosting this poster to save the trees fell victim to Hurricane Norbert in 2008. The Alameda’s shade forest were all toppled by gale force winds. 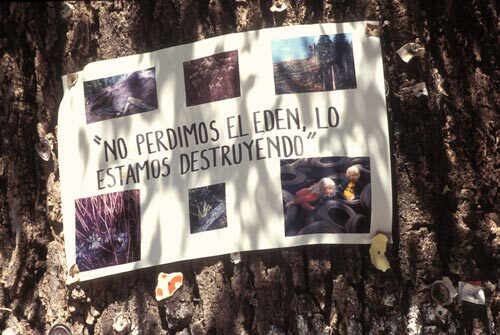 The humble poster’s message is alive, and hopefully, gaining strength – ” No perdimos el eden, lo estamos destuyendo”. Alamos is at a convergence of habitats, each with its own flora and fauna. Together, they are a rich tapestry of natural experiences. I understand that now an organization leads Saturday community bird watching expeditions. In 1996, there was little ecological public sensibility. The international world was aware, and concerned, about this rare, and endangered, environment. Locals like Stephanie Meyers and the MacKays took every opportunity to share their surroundings with the Alamos. But there were few ecology street messages in Spanish. My Mexican acquaintances saw this poster as a sign of change, a precursor to a new way of seeing and doing. As example, they questioned the perpetual burning dump several miles southeast of town. Their voices were uniting, there must be a better way. Hear ye! Read ye! The Alamos Players performance is sold out! 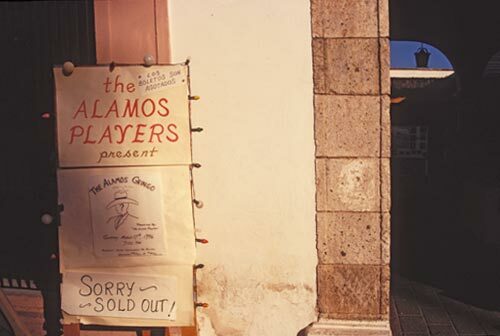 The Sunday, March 17th, 1996, 7 pm performance of The Alamos Gringo, a play in two acts, presented by The Alamos Players is sold out! Sorry! The venue is a small theater in the Museo Constumbrista de Sonora on the Plaza. There is a romantic notion to North American community theater in Alamos. 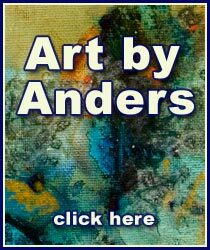 The arts always help keep a sense of cultural community in community. There seems to be someone who doesn't approve of this candidate. Election time is an emotional time: neighbors sharing a common wall can loudly promote opposing political parties and fervently advocate different policies. And then the elections will come to a close, egos adjust to the vote’s finality, and neighbors are neighbors again.